The CW/DC TV universe is about to welcome a new superhero show. This morning there were rumors that the Black Lightning TV series had been dropped by Fox, but now we know where it’s headed: the CW has officially ordered a pilot for the series. 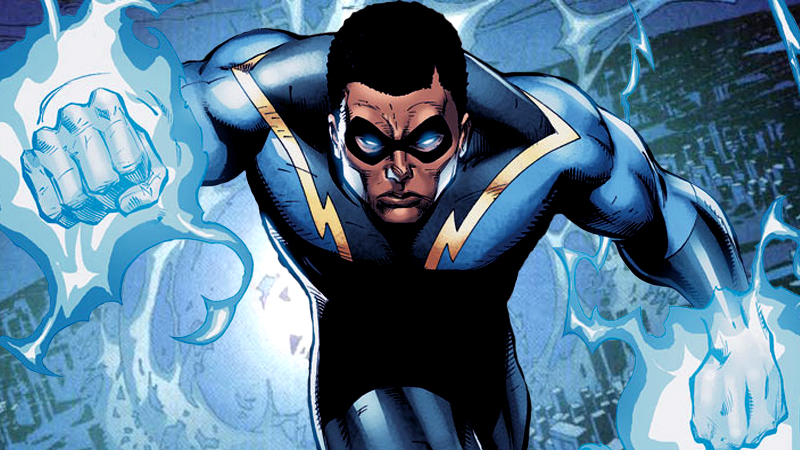 Last night Deadline reported that after ordering a pilot commitment for the show—produced by Berlanti, but showrun by Mara Brock Akil and Salim Akil—Fox had dropped Black Lightning altogether, leaving producers to scramble for a new home for the series, which would bring one of DC’s most prominent early black heroes to live-action. Maybe we shouldn’t be so surprised that the turnaround on finding that home is not only so quick, but that Black Lightning is heading to the home of Berlanti’s other DC superhero shows, the CW. Fun fact: this marks the third such time the CW has taken in a Greg Berlanti-produced series after it started life elsewhere—Supergirl of course was on CBS, and like Black Lightning, Archie Comics adaptation Riverdale was originally in the works at Fox. Like Fox’s original order, the CW’s commission is just for a pilot of the series, which will be written by the Akils, who will also executive produce the show alongside Berlanti. It’s unknown yet if Black Lightning heads to series, whether it’ll be part of the same universe as Arrow, Flash, and Legends of Tomorrow—but hey, that didn’t stop Supergirl from joining in on the fun. So maybe Jefferson Pierce will be rubbing shoulders with Kara and her superfriends soon enough. Remember the innocent times of six months ago when the CW thought it was full up on DC comics shows?